It has been great to be apart of and to attend so many inspiring events this September, and we are just barely through half of it. From the amazing turnout and response to this years Running Down the Walls, to the wonderful vibes at the Dead Prez, Rah Digga, Rebel Diaz and Tef Poe show, to the discussion and call to action with the No New Animal Lab campaign, to the Party Against Prisons, and the upcoming The Promise Of Anarchism: An International Panel Discussion. We have certainly kept ourselves busy, but could not feel better doing so. 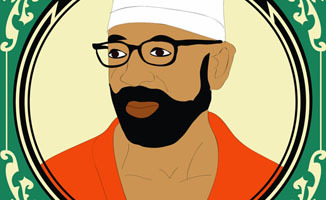 We want to keep this momentum going in this week’s letter writing night for activist, author, and soldier Russell Maroon Shoatz. Russell is a dedicated community activist and founding member of the Philadelphia based organization Black Unity Council, which eventually merged with the Black Panther Party (1969). In 1970, along with 5 others, Maroon was accused of attacking a police station, which resulted in an officer being killed. This attack was said to have been carried out in response to the rampant police brutality in the Black community. For 18 months Maroon functioned underground as a soldier in the Black Liberation Army. In 1972 he was captured. Twice he escaped—once in 1977 and again 1980, but both times he was recaptured and today he is held in Pennsylvania where he is serving multiple life sentences.